November 11, 2013 /0 Comments/in Diabetes /by Jenn F.
Wild sugar level fluctuations can threaten various parts of the body over time. “Diabetes can have devastating effects on the body,” explains Dr. Ryan Minara from The Center for Podiatric Care and Sports Medicine in New York City. “In many cases, diabetes causes abnormalities in the small blood vessels of the body, which affects the peripheral nerves. Some of the smallest blood vessels in the body occur in the eyes, kidneys, and feet, and diabetics often face problems in these anatomical areas,” he adds. It usually takes five or six years of poorly controlled diabetes for complications to arise, according to some studies. 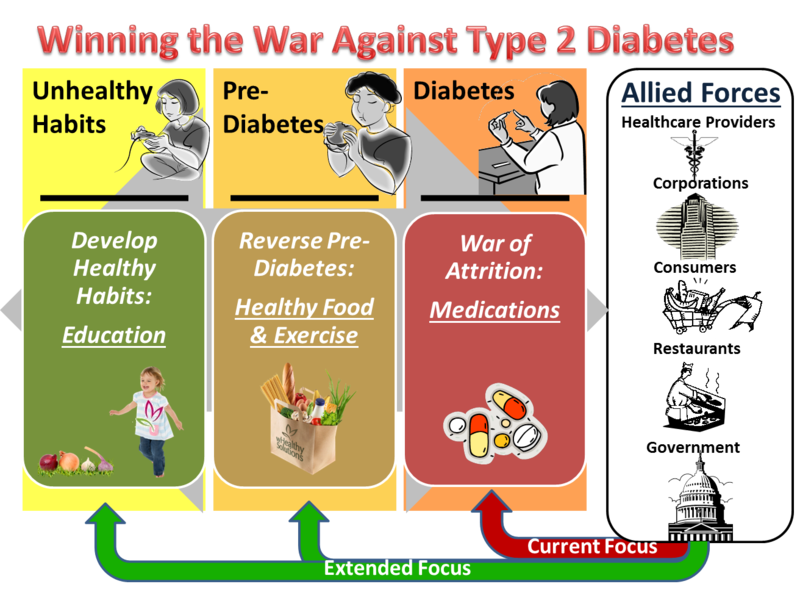 However, keep in mind, most people with type 2 diabetes have had the disease for five years before they are diagnosed. 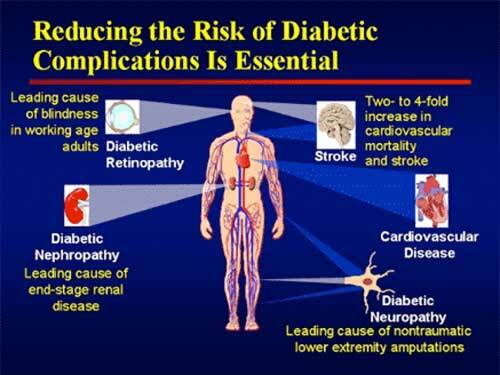 The good news is that you can prevent many of these complications through careful diabetes management. People with diabetes have a greater chance of developing cataracts, a thickening of the eye lens that causes blurry vision and difficulty seeing at night. They are also more likely to develop retinopathy, which involves changes in the light-sensitive retina that can cause blindness eventually. Glaucoma, built-up pressure inside the eye, can cause a diabetic to lose vision if the optic nerve suffers reduced blood flow and damage. High blood sugar can cause damage to the blood vessels in the kidneys in a condition called “diabetic nephropathy.” Over time, this may lead to the need for dialysis to cleanse the blood artificially, kidney failure and the need for an organ transplant. Heart attacks, strokes, and cardiovascular disease are all possible diabetes complications. According to the National Diabetes Information Clearinghouse, “If you have diabetes, you are at least twice as likely as someone who does not have diabetes to have heart disease or a stroke.” The risk increases as blood vessels become damaged and narrow. Diabetics have more plaque, less saliva, loss of collagen in gum tissue, poor circulation, and more sugar in the mouth. All these symptoms lead to gum disease — bleeding, sensitive, and painful gums. Over time, the gums can recede and become discolored. – Bacterial infections like styes, boils, folliculitis, carbuncles, nail infections, and staph. – Fungal infections like yeast infection, jock itch, athlete’s foot, ringworm, and vaginal infections. – Disseminated granuloma annulare (ring-like rashes on the extremities). Neuropathy (loss of nerve function) is one of the most common conditions associated with diabetes. Early on, people feel numbness, tingling, or sharp pains in the feet and legs. If left untreated, numbness can occur, which causes people to be unaware that a cut has occurred. Infections can go unnoticed until it’s too late. Poor blood flow in the feet and nerve damage spells foot danger for diabetics. Toenail fungus and athlete’s foot are common side effects diabetics face. Ingrown toenails, calluses, dry skin, blisters, corns, and cuts can become big problems if they get infected by fungus or bacteria living in the shoes.Ulcers are an issue that require immediate treatment to save the limb from gangrene and amputation. Natural Toenail Fungus Remedies: Does Vinegar Kill Fungal Infections? Awareness and Prevention: How Do Diabetic Foot Ulcers Lead to Amputations? Examining Diabetic Foot Facts: Exactly How Serious Is the Condition, and How to Cope?